HOW CAN THEY [HOLOCAUST DENIERS] STILL CONTINUE AND POISON SO MANY MINDS WITH THEIR VICIOUS PROPAGANDA? Below is information to keep in mind when teaching the content in this unit. This material is intended to help teachers consider the complexities of teaching about perpetrators, collaborators, and bystanders and to deliver accurate and sensitive instruction. Examining the topic of responsibility and guilt for the Holocaust is an important, yet difficult, task. Allowing opportunities to examine the roles of both individuals and nations regarding the issue of trying to prevent what happened to Jews and other groups asks students to examine the complex boundaries of responsibility and the cost to a society that does not act. Adolescents are often interested and eager to discuss issues of fairness and consequences as they struggle to understand the world outside of themselves. The study of the Holocaust raises many topics that may lead students to question, analyze, and redefine their own beliefs and values. While questions abound regarding whether the free world should have done more sooner to help the victims of the Holocaust, these questions in no way take away from the fact that Americans (and all Allies) in great numbers gave their lives to liberate Europe. The memory of the more than one million United States servicemen and women who were killed and wounded in World War II must be honored. When the Western Allies began to learn about Nazi atrocities, they declared, in December 1942, that at the end of the war leading Nazis would be tried for their part in the unprecedented devastation caused by the war that they had begun and the crimes they had committed. Those among the highest Nazis leaders who were still alive and could be brought to justice were charged with Conspiracy to Wage Aggressive War, Crimes against Peace, War Crimes, and Crimes against Humanity, and were tried at the International Military Tribunal at Nuremberg. In the wake of this trial, others were carried out in many places in Europe; however, in the end, only a small fraction of Nazi criminals were ever brought to justice. This unit provides an opportunity for students to examine the complex issues of responsibility and guilt within the context of the Nazi occupation of Europe. Students will also learn about the war crimes trials following World War II and consider the responsibility of the free world to provide a safe haven for refugees attempting to escape Europe. This unit also provides students with an introduction to Holocaust denial as a contemporary form of antisemitism. Define collaborator and collaboration within the context of World War II and the Holocaust. Describe the role of those who collaborated with the Nazis during World War II. Differentiate between the concepts of “guilt” and “responsibility” when discussing the actions or inactions of individuals or groups during the Holocaust. Explain the purpose and outcomes of the Nuremberg Trials as well as other war crimes trials that took place after the war. Analyze the role and responsibility of the individual perpetrator within the Nazi system by learning about people like Rudolf Hoess and Adolf Eichmann. Summarize the goals and outcomes of the Evian Conference and Bermuda Conference. Evaluate the culpability of the free world in what ultimately happened to the Jews of Europe. Interpret a variety of primary sources including visual history testimony, artwork, and government documents. Identify the role of the individual to ensure a safe and free society. 1 Write the following words on the board or on chart paper: “guilt” and “responsibility.” Allow time for students to brainstorm the meaning of each term. Leave the brainstorming activity visible, and encourage students to add to the definitions as they proceed with the lesson. 2 Introduce students to Jan Karski and Dennis Urstein and show their testimonies. Follow with a discussion using the questions below. 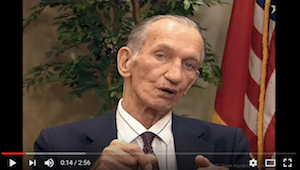 In his testimony, Jan Karski talks about his meeting with President Franklin D. Roosevelt. How does he say Roosevelt responded to his questions about what he should tell the Polish people? Does Jan Karski feel the President’s response was adequate? How do you know? What does Dennis Urstein say about what was learned from the Holocaust? In his testimony, Dennis quotes Freud. To whom is he referring? Why do you think he quotes Freud? Who does Dennis believe was guilty for the Holocaust and why? Dennis uses the question “What are we doing about it?” as a call to action. What is he asking people to do? 3 Provide students with background information on the role of the railroad system in the implementation of the “Final Solution” in the corresponding Note. 4 Divide the class into small groups and distribute Salitter’s Report. Before they begin reading the document, share with students that men who took jobs like Salitter’s were not forced to do so and that the job was considered prestigious. As students study the document, have them pay close attention to both the tone and language used in the report. 5 While reading the report, instruct each group to select a recorder to keep a list of all the people appearing in the document who participated in this deportation. When students have finished reading the document, have them add other people who are not mentioned in the document but who also must have taken part in this deportation (e.g., someone had to write the lists of people who would be sent to their deaths, the neighbors, the people in Riga, the people who would murder them later, the officers who gave the orders). 6 In a whole-group discussion, have students answer the questions below, citing textual evidence for their responses whenever possible. What are the main issues that Salitter refers to in the report? In his report on the argument he had with the stationmaster, Salitter complains that the latter clearly does not know the meaning of the term “Jew” and its implications. What does this seem to indicate about Salitter’s attitude toward the task he is performing? What appears to be Salitter’s reason for recommending that the Jews be provided with water? Why might Salitter have attempted to put children with their mothers? Is there any evidence of Salitter’s attitude toward his role or toward Jews in the report? If so, explain his attitude toward each. Based on the report, how would you characterize Salitter’s role in the murder process? Who of the perpetrators mentioned in the report is not German? What was their role? What were their possible motives for collaborating with the Germans? 7 Using the notes from the students’ small-group work, prepare a composite list of all the people appearing in the document who participated in the deportation and ultimate fate of Jews in the transport. Have groups also offer additional names of those not mentioned in the document. Next to each person’s name on the list, have students determine, on a scale of 1 to 4, each person’s level of responsibility in what happened to the Jews. Have students support their choices and discuss areas of disagreement. 8 To ensure that students understand the meaning of the words “collaboration” and “collaborator” within the context of World War II and the Holocaust, distribute the Collaborators handout and read together. Follow with a discussion using some or all of the questions below. Why did some people cooperate with the Nazis in the annihilation of the Jews? Why did the Germans use locals to help carry out the “Final Solution”? At what point does not intervening to stop a human catastrophe make a person (or nation) not just a bystander, but a collaborator? Were the collaborators responsible for what happened to the Jews? Explain your answer. 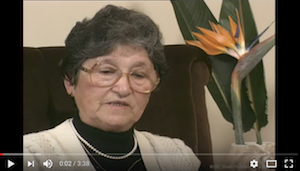 2 Introduce students to Edith Coliver and Regina Zielinski; show their clips of testimony, and follow with a discussion using the questions below. What does Edith Coliver say were her father’s messages to her after he learned that she would go to the Nuremberg Trials as a translator? What information do you learn about Hermann Goering and Rudolf Hoess from listening to Edith’s testimony? How does Edith support her statement “the legacy of Nuremberg is still with us”? When does Regina Zielinski say she was contacted to testify in a war crimes trial? What conclusions can you draw based on that information? What kinds of questions does Regina say she was asked at the trial? What strategies were used to try to trick her while she was testifying? Why was it so difficult for Regina to testify? 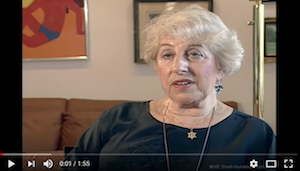 What is the difference between giving testimony to USC Shoah Foundation and testifying in court? Why was it important to bring witnesses to testify in the war crime trials? Do you think the trials were important? If so, why? 3 Distribute the Rudolf Hoess handout and read together as a whole group. Follow with a discussion, using some or all of the questions below. Instruct students to cite textual evidence to support their answers. In the handout there are two different sources. What are they? How are the two sources different? Might those differences influence what Hoess says in each? If so, how? What was Hoess’s role in the “Final Solution”? How did Hoess describe the process of gassing at Auschwitz? Based on his choice of words, how would you characterize his tone as he described this process? What does this suggest about his attitude toward his crimes? What was Hoess’s explanation for why he went through with the murders, despite admitting to feeling sympathy for the victims? Does Hoess express any moral reservations about the murder of the Jews? Why does he say that he thinks they were wrong? What does that say about his beliefs? In your opinion, what was the objective of the postwar criminal trials? After reading Hoess’s testimony, do you think these aims were achieved? Explain your response. What was Eichmann’s role in the “Final Solution”? How were Eichmann’s and Hoess’s roles different? How does Eichmann explain his actions during the war? Eichmann and Hoess defend their actions as soldiers who were only following orders. Do you see this as justification for their actions? Why or why not? What were their choices? After reading Eichmann’s answers, do you think he regretted his actions? Why or why not? Hoess commanded the largest extermination camp—Auschwitz-Birkenau—and was on the site of murder on a daily basis. Eichmann was responsible primarily for the logistics of deportation to camps like Auschwitz-Birkenau. He generally worked out of an office far from those camps, although in his posting in Budapest in 1944, he directed the deportations to that camp. Do you think one of these men was guiltier than the other? Explain your response. What role might ideology have played in the motivations and actions of these men? Do you think the perpetrators who carried out the Holocaust can ever be sufficiently punished? Explain your thinking. 1 Provide students with background on the MS St Louis using the information provided in the corresponding Note. 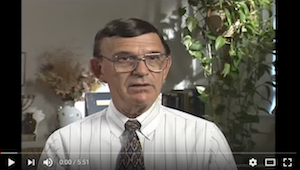 What did you learn about the ill-fated journey of the MS St. Louis by watching Sol Messinger’s testimony? How far is Cuba from the United States? How do you think passengers felt being so close to the United States and freedom, but not being allowed to come ashore? What was the significance of “mañana”—the first Spanish word that Sol learned? What did “mañana” mean to the passengers on the MS St. Louis? 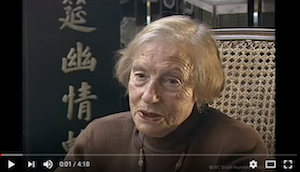 How does Liesl Loeb describe the emigration process for Jews living in Germany? The quota number Liesl’s parents had was in the 14,000s. She says that by the time her mother’s sister was able to get to the consulate and get a number, they were in the 70,000s. What do these figures tell you about the desire of the Jewish population to leave Germany at the time? How does what these two individuals have shared compare/contrast to treatment of immigrants and/or refugees coming to the United States today? 3 As an introduction to the topic of the responsibility that other countries had in intervening in what was taking place in Europe, have students read the statements below (which should be prepared in advance on the board or chart paper) and decide with which position they identify most. a. Nations should be responsible for the safety of other nations and ethnic groups who are in danger at any cost. b. Nations should be responsible for the safety of other nations and ethnic groups who are in danger if it suits their interests. c. Nations should be responsible for the safety of other nations and ethnic groups who are in danger only if it doesn’t cost too much tax money. d. Nations should be responsible for the safety of other nations and ethnic groups who are in danger if it doesn’t involve risking human lives. e. Nations should not be responsible for the safety of other nations and ethnic groups who are in danger. 4 Divide students into small groups and have them discuss their responses. Emphasize that the goal is not to persuade classmates to change their minds about which statement they chose, but rather to share ideas and thinking on the topic. 6 Distribute and read the Evian Conference and Bermuda Conference handouts. Follow with a discussion using the questions below. Compare the two conferences; what were their official goals? What was the outcome of these conferences? Do you believe that antisemitism was a factor in the outcome of these conferences? On what have you based your response? What role, if any, should the United States play in helping to provide a safe haven to refugees from countries where gross human rights violations, genocide, or potential genocide is taking place? What do you believe the artist was attempting to say to the world through this work? What do you think the globe in the painting represents? What might the bundle next to the man represent? How does the man in the picture perceive the world? Comment on Nussbaum’s choice of color, line, and shape. What is the overall effect of his choices? 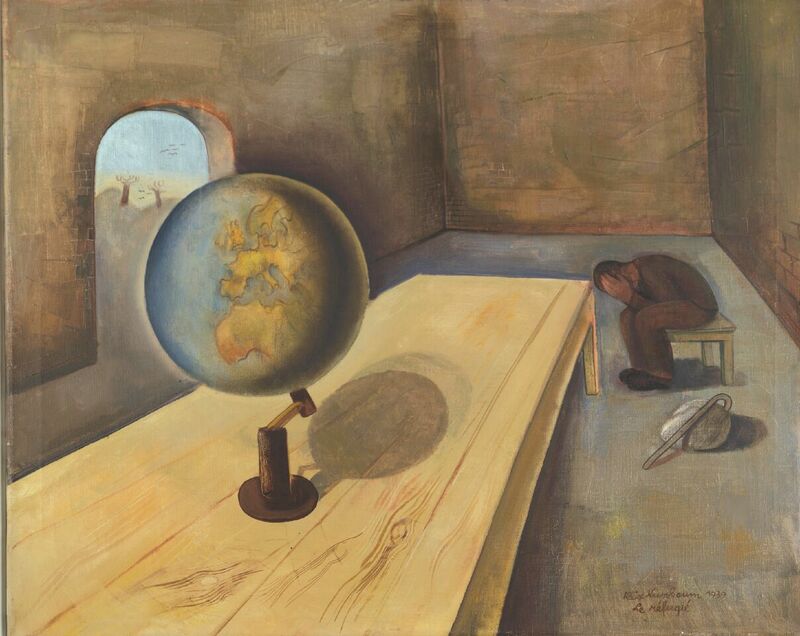 Do you think this piece of art accurately reflects how Jewish refugees felt during the late 1930s? Identify specific examples from one or more of the texts or visual history testimonies to support your response. Do you think this painting could have meaning for present-day refugees? Explain your thinking. What do you think the title of this painting means? 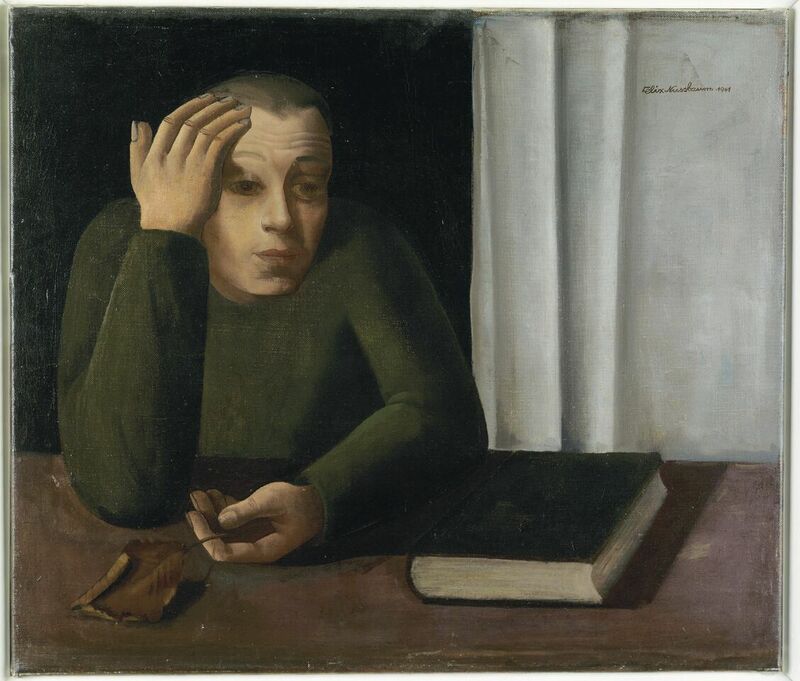 How does Nussbaum portray gloom and despair in this painting? Compare this painting to The Refugee. What similarities do you see in the artist’s choice of light and color? Does viewing the two paintings together tell a story? If so, what is the story? Do you think that earlier works by Nussbaum (pre-1939) were similar in style to these paintings? Why or why not? 9 To help students consider whether Nussbaum’s style was different in his earlier works, show them Shore at Rapallo, and have them discuss the difference in the artist’s style between 1934 and 1939. 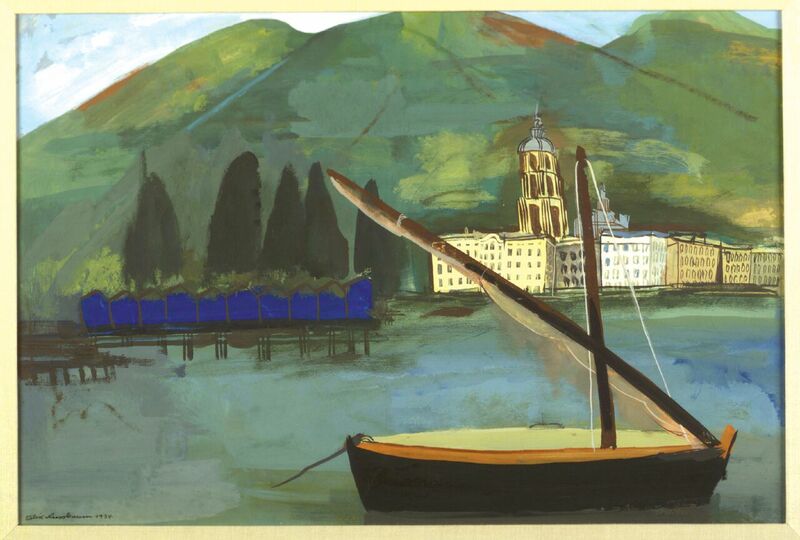 Explain that Nussbaum painted this picture of Rapallo in 1934, while visiting Italy with his companion and future wife, Felka Platek. Nussbaum spent time at the seaside resort with his parents, who were thinking of settling in Switzerland. This was the last summer that Nussbaum would spend with his parents, who returned to Germany and were eventually deported to Auschwitz and murdered. 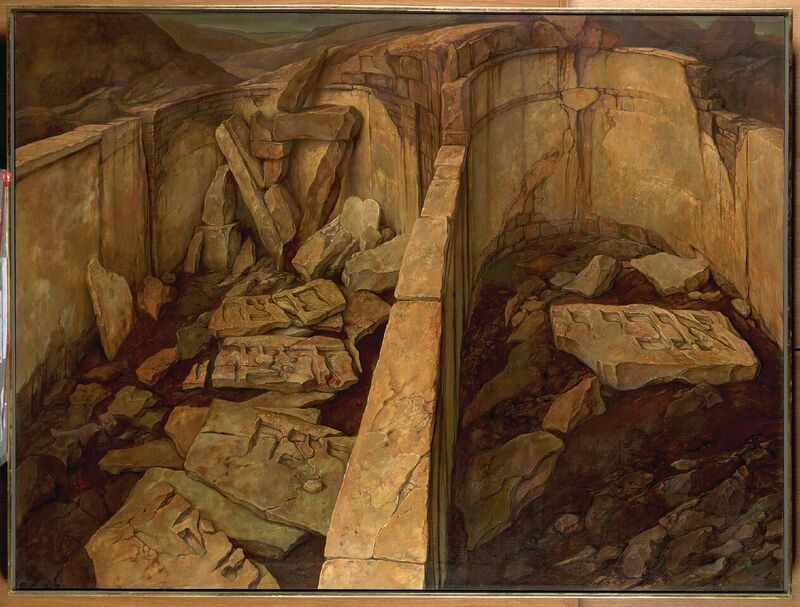 What do you believe Samuel Bak was attempting to say to the world through this work? Why do you think he chose this symbol to express his idea? Who do you think the artist addresses in this painting? Comment on Bak’s choice of color, line, and shape. What is the overall effect of his choices? 11 Provide students with background information on the debate regarding the role of the United States and other Allies with respect to the Holocaust available in the corresponding Note. 12 In small groups or as a whole class, read each of the excerpts listed on the Primary Source Readings handout. After determining the central idea of each excerpt, have students develop a list of essential questions based on the documents to stimulate additional thought and inquiry on the topic of how United States’ officials responded to events as they were unfolding in Europe from 1933 to 1944. What does Brigitte Altman say is the goal of Holocaust revisionists? How does Brigitte respond to those who say the Holocaust never happened? a. The number of Jews murdered (six million) is a gross exaggeration. b. There was no Nazi program to exterminate Europe’s Jews. c. Mass killings in gas chambers did not occur. d. Jews were one of many groups who suffered during World War II and were not singled out for persecution. 4 Individually or in small groups, have students research the topic of Holocaust denial with emphasis on the questions below. Encourage students to consult the United States Holocaust Memorial Museum (ushmm.org) and Southern Poverty Law Center (splcenter.org) websites while conducting their research. Have students share their findings in a whole-group discussion. Who are the individuals and groups who have promoted Holocaust denial? Describe their political agendas. What arguments do they use to back up their claims? What arguments can you use to counter their claims? What court cases have centered on the issue of Holocaust denial? 5 Tell students that one way that those who deny the Holocaust have spread their propaganda in the past has been by purchasing scholarly sounding ads in college and community newspapers. Today much of their activity is through the Internet and social media, where there is a tremendous amount of material that promotes the denial and distortion of the Holocaust. Among other central ideas, they frequently call for an “open debate on the Holocaust,” and claim that while Nazi antisemitism did exist, this hatred did not result in an organized killing program. They also question the authenticity of the United States Holocaust Memorial Museum in Washington, DC and other major museums and archives around the world. In Canada and Western Europe, Holocaust deniers have been successfully prosecuted under racial defamation or hate crimes laws. In the United States, however, the First Amendment guarantees the right of free speech, regardless of political content. While the First Amendment guarantees Holocaust deniers the right to produce and distribute their propaganda, it in no way obligates social media, Internet service providers, and other media outlets to provide them with a forum for their views. 6 Explain to students that they will now assume the role of a college newspaper staff. Following an intensive campaign to secure new ads to financially support their print and/or online school paper, they have been approached about publishing a Holocaust denial ad. The group is divided on the issue—half the “newspaper staff” believes that a Holocaust denial ad should be allowed to be published in the school newspaper and the other half believes it should not be permitted. Have students either self-select their side of the argument or randomly assign half the class to the argument in favor of printing the ad and half the class to the argument against printing the ad. Have groups develop their arguments and conduct a debate on the topic. Do you think that Holocaust denial is a contemporary form of antisemitism? On what do you base your response? If you believe Holocaust denial is a form of antisemitism, why has this expression of hatred been so slow to disappear from society? Why is Holocaust denial dangerous? Why is it important to be aware of Holocaust denial? What is the role of individuals in the face of this phenomenon? 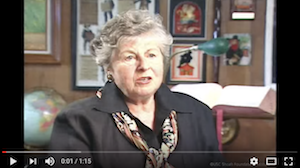 In her testimony, Edith Coliver states: We were hoping that this [the Nuremberg Trials] would pave the way for the vanquished to try the victors. It didn’t happen. 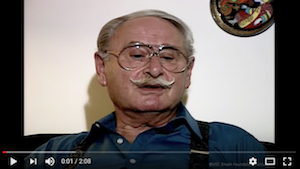 Many Holocaust survivors have said that justice after the Holocaust was never achieved. What do you think made survivors feel this way? What does the concept of justice mean to you? Do you think it is possible that justice could ever be served with an event the magnitude of the Holocaust? Reflect on the meaning of British historian Sir Ian Kershaw’s assertion that the road to Auschwitz was built by hate, but paved with indifference. What do you think Kenshaw means by this statement? What have you learned about bystanders that would support his sentiment? Write about your feelings toward your country and its role in the Holocaust. As you respond, consider what you see as the role of the United States in current world conflicts. When human catastrophes occur, especially a catastrophe the magnitude of the Holocaust how is responsibility determined? Are there levels of responsibility or is everyone— perpetrator, collaborator, and bystander—ultimately equally responsible and, therefore, equally guilty for the crimes committed? What is the difference between responsibility and guilt? What is the role of the individual within a society to ensure that all of its citizens are free and safe? Is the responsibility of an individual in a democratic society even greater than that of an individual living in an autocratic society? Why or why not? Should the individual play the same or a similar role regarding the freedom and safety of people outside his or her community or country? 1 Visit IWitness (iwitness.usc.edu) for testimonies, resources, and activities to help students learn more about topics covered in this unit. 2 Provide students with a copy of Salitter’s Report and Hilde Sherman’s Testimony, two documents from two different points of view, which outline the transport of 1,007 Jews in December 1941 from Dusseldorf to Riga. Have students carefully study the two texts, noting similarities and differences in the description of places, the sequence of events, how people interacted over the course of the transport, etc., and present their findings in a graphic organizer (e.g., Venn diagram). 3 Instruct students to research the facts behind the proposed bombing of Auschwitz and conduct a debate to discuss whether or not Auschwitz should have been bombed by the Allies. Have students research the structure and goals of each of these responses as well as what the effects have been on reconstructing Rwandan identity and securing justice for the victims and their families. Encourage students to gather relevant information from multiple print and digital sources and present their findings in a PowerPoint or cloud-based presentation (e.g., Prezi), a written report, or decide on another format to present their work.